Home / Air / Five Reason Why do planes crash? Five Reason Why do planes crash? Open video to view Five Reason Why do planes crash? What we do know is that there are several causes that are more likely to occur than any other. As aircraft have become more reliable, the proportion of crashes caused by pilot error has increased and now stands at around 50%. Aircraft are complex machines that require a lot of management. Because pilots actively engage with the aircraft at every stage of a flight, there are numerous opportunities for this to go wrong, from failing to programme the vital flight-management computer (FMC) correctly to miscalculating the required fuel uplift. While such errors are regrettable, it is important to remember that the pilot is the last line of defence when things go catastrophically wrong. In January 2009 an Airbus A320 hit a flock of geese over New York City. With no power, the captain, Chesley Sullenberger, had to weigh up a number of options and act quickly. Using his extensive flying experience and knowledge of the plane’s handling qualities he elected to ditch the aircraft in the Hudson River. The 150 passengers were not saved by computers or any other automated system. They were saved by the two pilots – the very components that techno-enthusiasts claim can be replaced by computers and ground controllers. 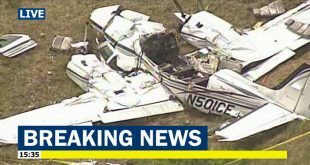 Equipment failures still account for around 20% of aircraft losses, despite improvements in design and manufacturing quality. While engines are significantly more reliable today than they were half a century ago, they still occasionally suffer catastrophic failures. In 1989, a disintegrating fan blade caused the number one (left-hand) engine of a Belfast-bound British Midland Boeing 737-400 to lose power. Hard-to-read instrumentation contributed to the pilots’ misreading of which engine was losing power. Confused, the pilots shut off the number two (right-hand) engine. With no power, the aircraft crashed short of East Midlands Airport’s Runway 27, killing 47 and injuring many, including the captain and first officer. More recently, a Qantas A380 carrying 459 passengers and crew suffered an uncontained engine failure over Batam Island, Indonesia. Thanks to the skill of the pilots, the stricken aircraft landed safely. Sometimes, new technologies introduce new types of failure. In the 1950s, for example, the introduction of high-flying, pressurized jet aircraft introduced an entirely new hazard – metal fatigue brought on by the hull’s pressurization cycle. Several high-profile disasters caused by this problem led to the withdrawal of the de Havilland Comet aircraft model, pending design changes. Bad weather accounts for around 10% of aircraft losses. Despite a plethora of electronic aids like gyroscopic compasses, satellite navigation and weather data uplinks, aircraft still founder in storms, snow and fog. In December 2005, Southwest Airlines Flight 1248, flying from Baltimore-Washington International Airport to Chicago Midway International Airport, attempted to land in a snowstorm. It skidded off the runway and crashed into a line of cars, killing a toddler. One of the most notorious bad-weather incidents occurred in February 1958 when a British European Airways twin-engined passenger aircraft crashed while attempting to take off from Munich-Riem Airport. Many of the 23 killed on the aircraft played for Manchester United Football Club. Investigators established that the aircraft had been slowed to such a degree by slush (known to pilots as “runway contamination”), that it failed to achieve take-off speed. Surprisingly, perhaps, lightning is not the threat that many passengers believe (or fear) it to be. About 10% of aircraft losses are caused by sabotage. As with lightning strikes, the risk posed by sabotage is much less than many people seem to believe. Nevertheless, there have been numerous spectacular and shocking attacks by saboteurs. The September 1970 hijacking of three passenger jet aircraft to Dawsons Field in Jordan was a watershed moment in aviation history that prompted a review of security. Hijacked by devotees of the Popular Front for the Liberation of Palestine, the three aircraft were blown up in full view of the world’s press. Despite improvements, malcontents still penetrate the security veil, as with the 2001 “shoe-bomber”, Richard Reid. Fortunately, Reid’s attempt to bring down an aircraft mid-flight proved unsuccessful. The remaining losses are attributed to other types of human error, like mistakes made by air traffic controllers, dispatchers, loaders, fuelers or maintenance engineers. Sometimes required to work long shifts, maintenance engineers can make potentially catastrophic mistakes. In 1990, a windscreen blowout on a British Airways flight nearly cost the life of the aircraft’s captain. According to the Air Accidents Investigation Branch, almost all of the windscreen’s 90 securing bolts “were of smaller than specified diameter”. Rather than attributing the mismatch between bolts and countersunk holes to his selection of the wrong-sized bolts, the maintenance engineer responsible for fitting the new windscreen blamed oversized countersinks. The engineer had not been sleeping well and did the windscreen replacement work during the period when his body clock wanted him to sleep, a time when reasoning and judgment easily falter. Tags 5 Reason Why do planes crash Five Reason Why do planes crash?